Natural ( not learned or taught, but something one is born with) Flying is natural for birds. 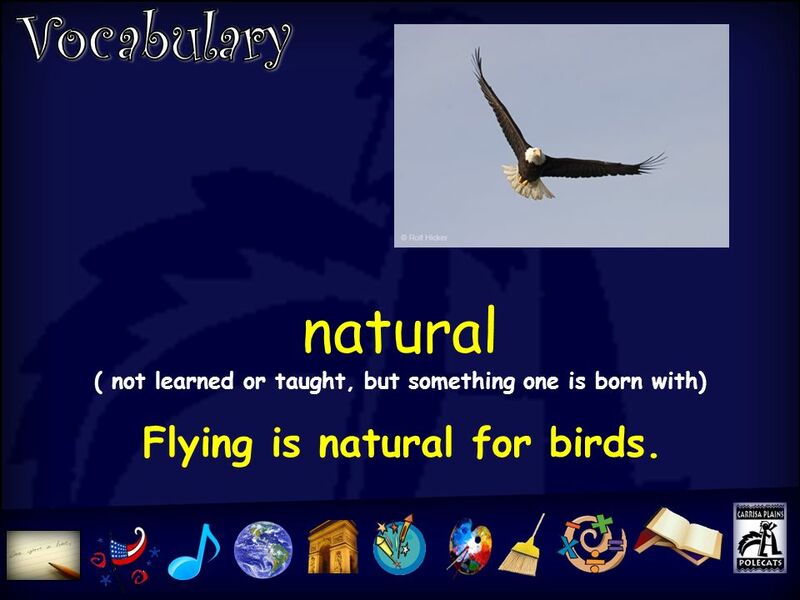 1 natural ( not learned or taught, but something one is born with) Flying is natural for birds. 2 unaware (not watchful or mindful) I caught my mother unaware and played a trick on her. 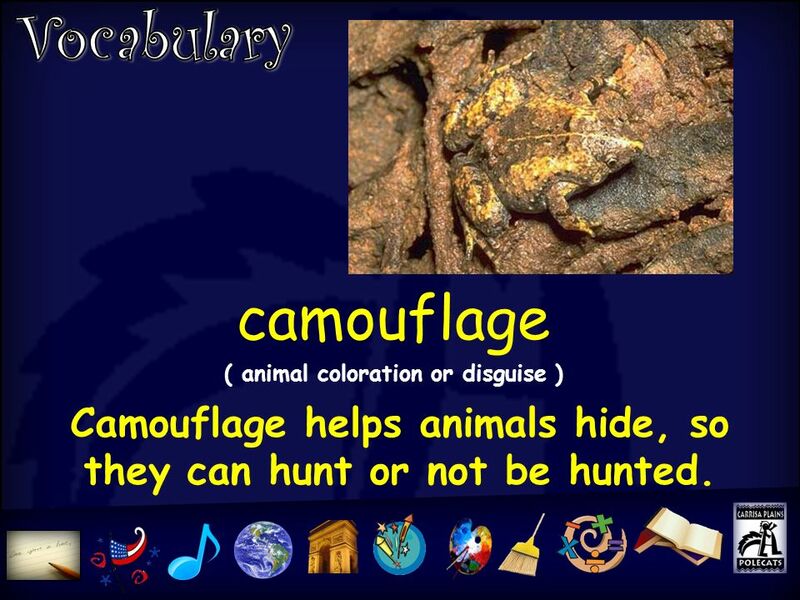 3 camouflage ( animal coloration or disguise ) Camouflage helps animals hide, so they can hunt or not be hunted. 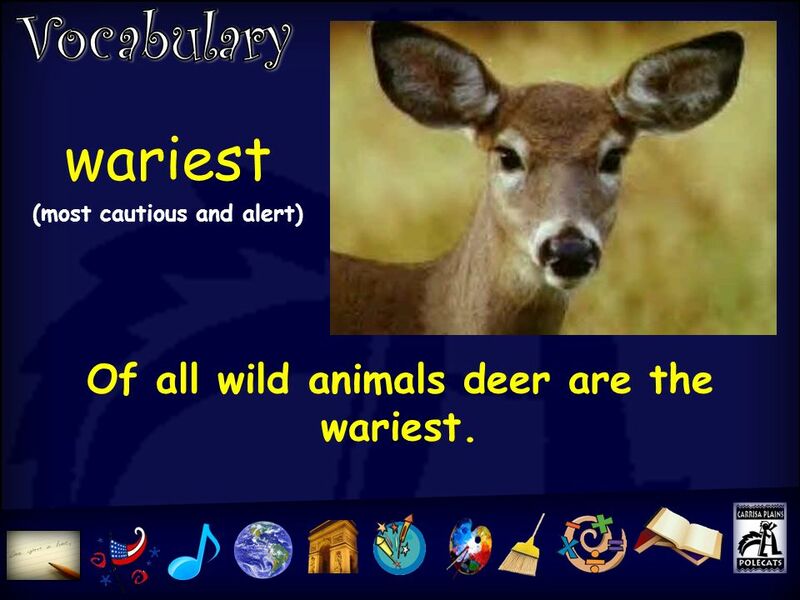 4 wariest (most cautious and alert) Of all wild animals deer are the wariest. 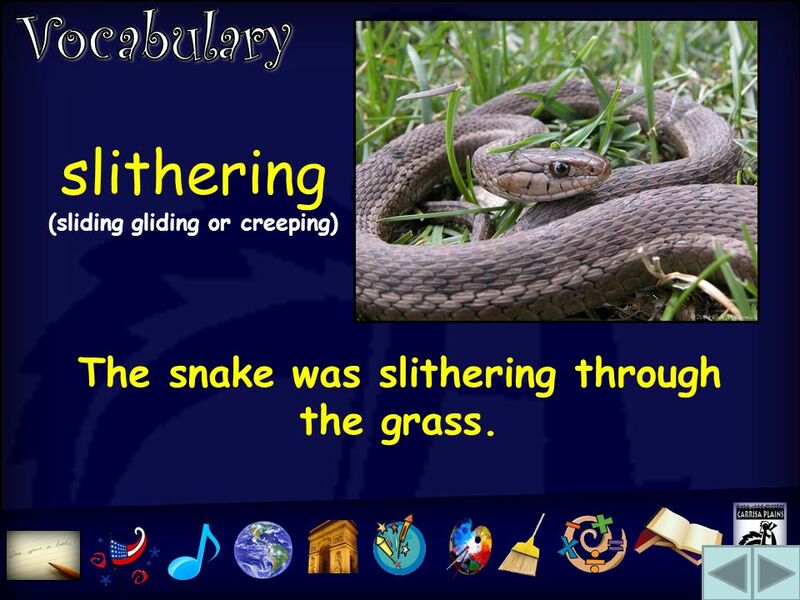 5 slithering (sliding gliding or creeping) The snake was slithering through the grass. 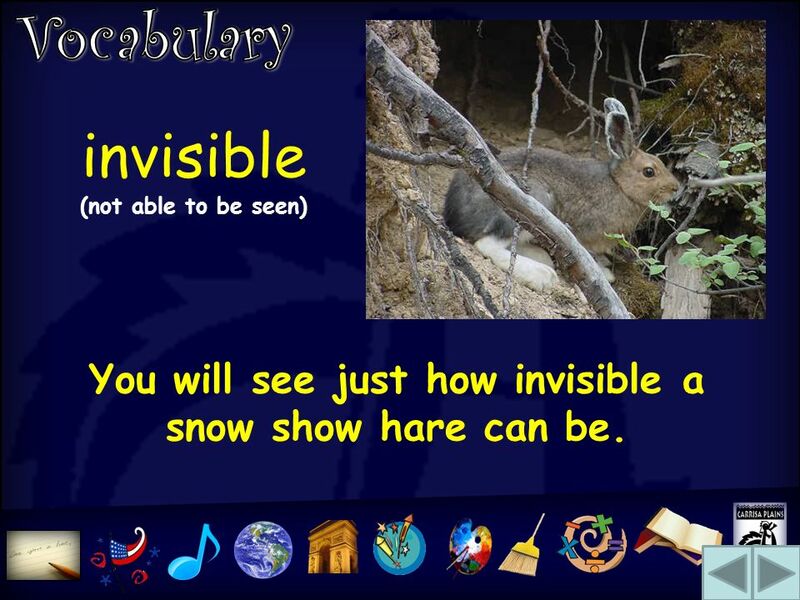 6 invisible (not able to be seen) You will see just how invisible a snow show hare can be. 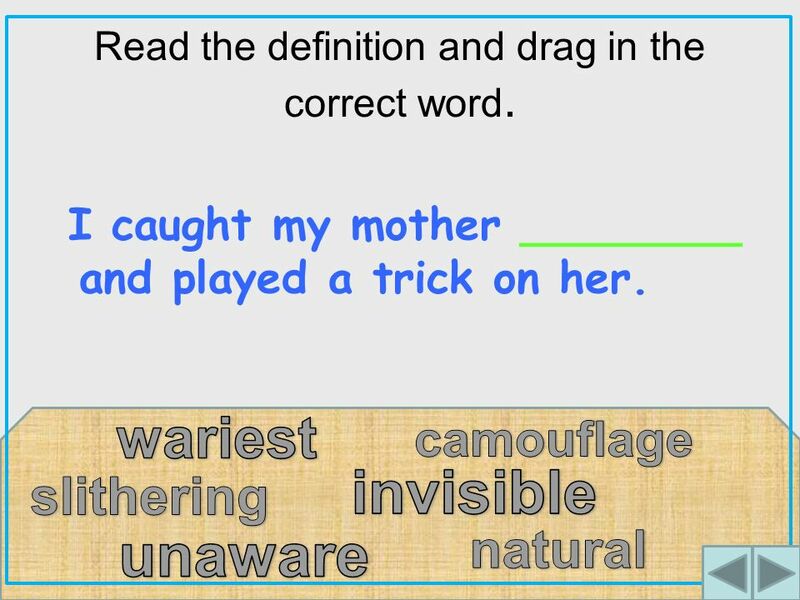 13 Read the sentence and drag in the correct word that completes it.. Flying is _________ for birds. 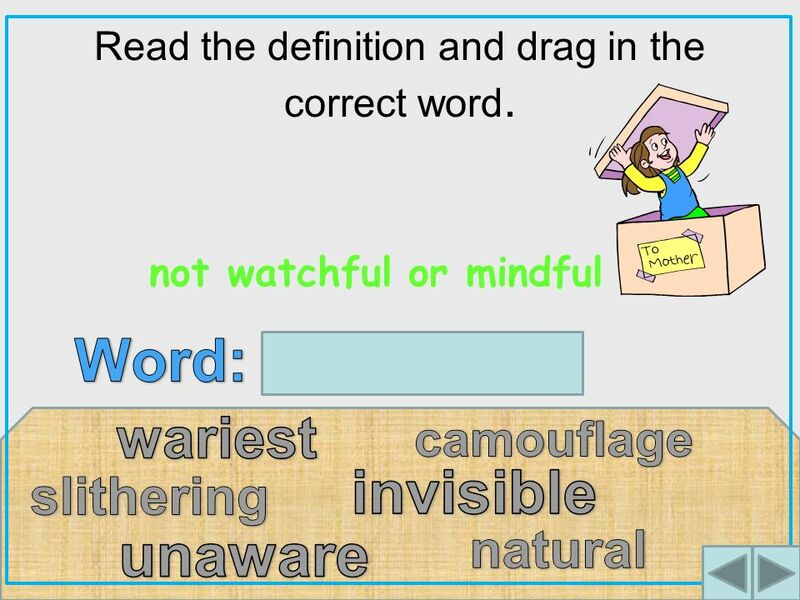 14 Read the definition and drag in the correct word. 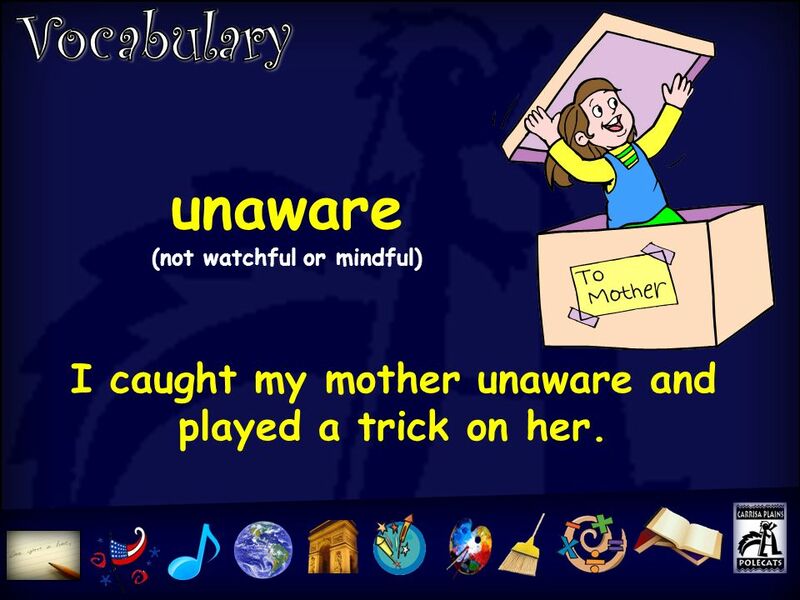 I caught my mother ________ and played a trick on her. 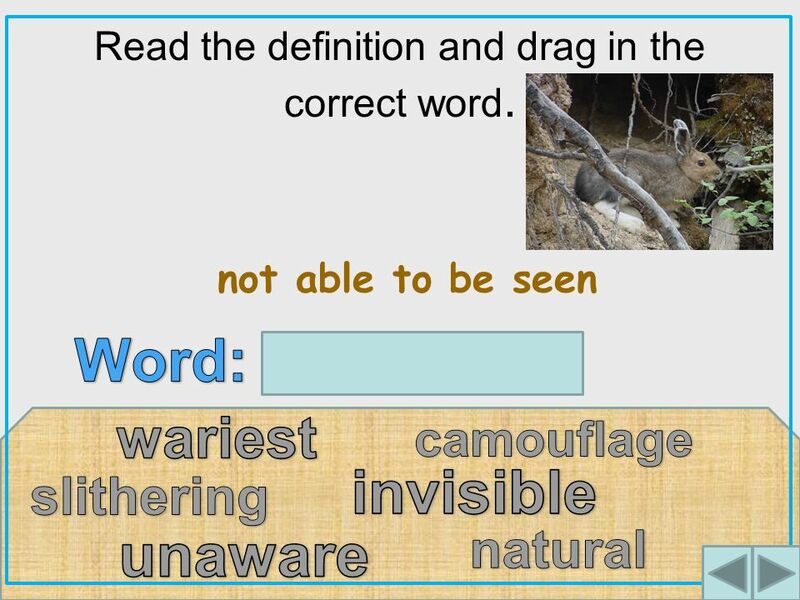 15 Read the definition and drag in the correct word. 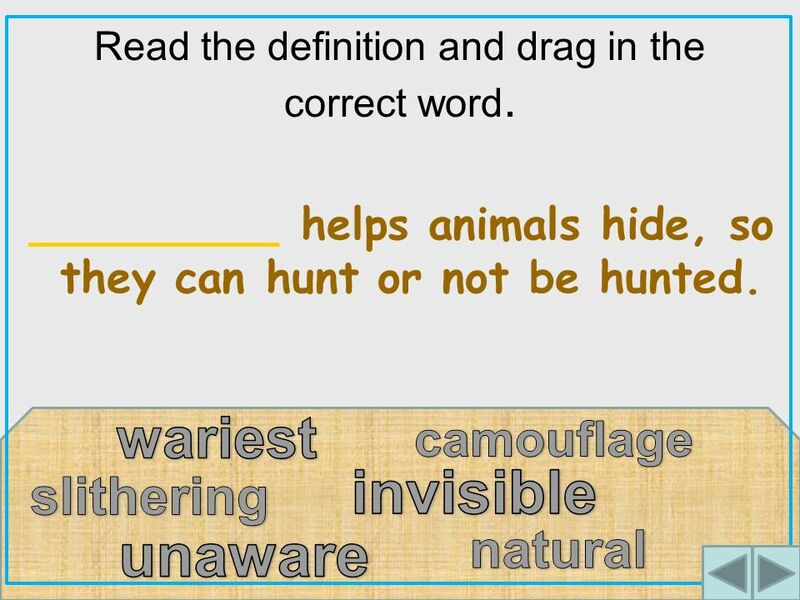 _________ helps animals hide, so they can hunt or not be hunted. 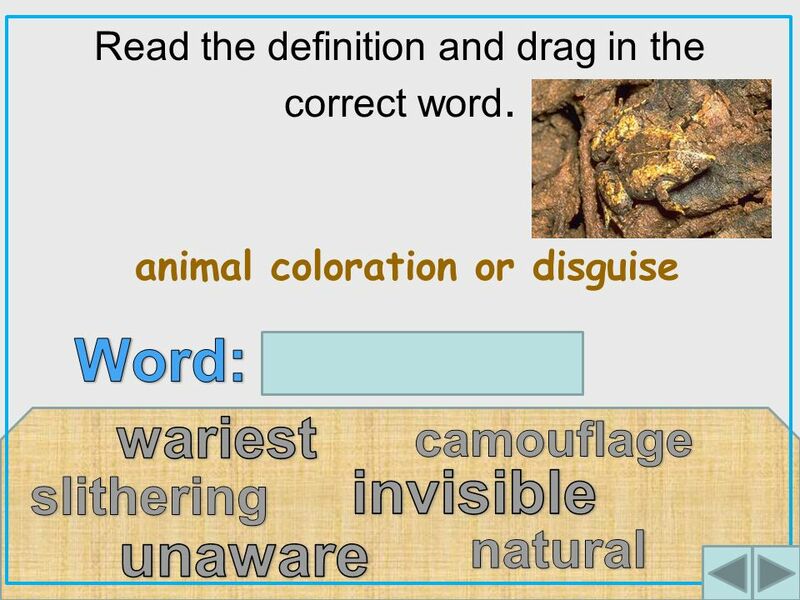 16 Read the definition and drag in the correct word. 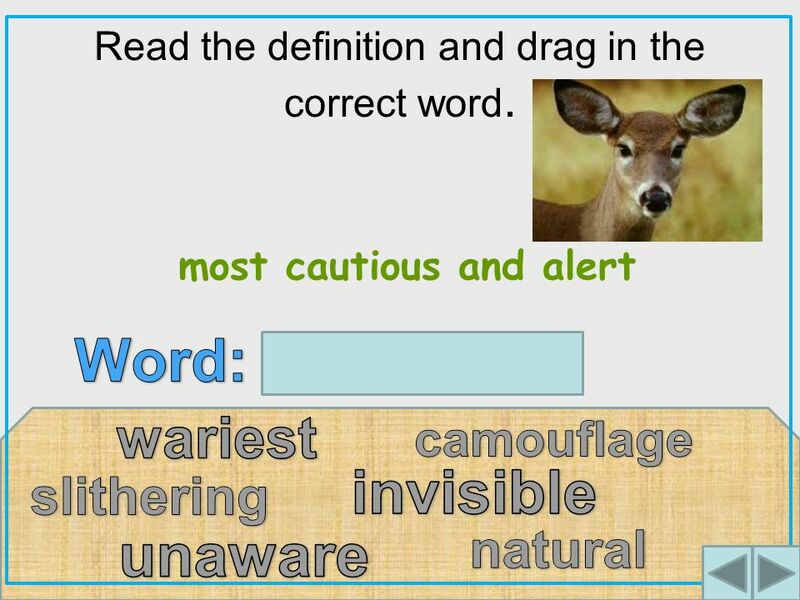 Of all wild animals deer are the _______. 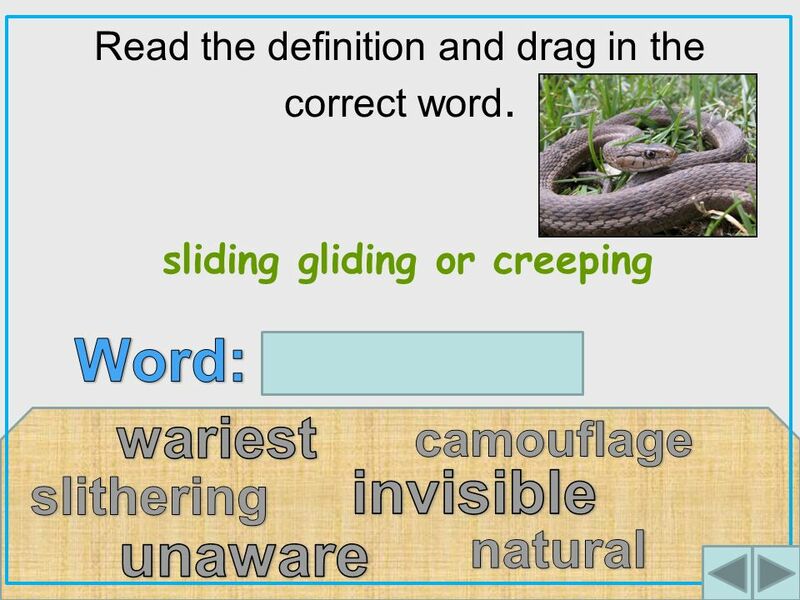 17 Read the definition and drag in the correct word. 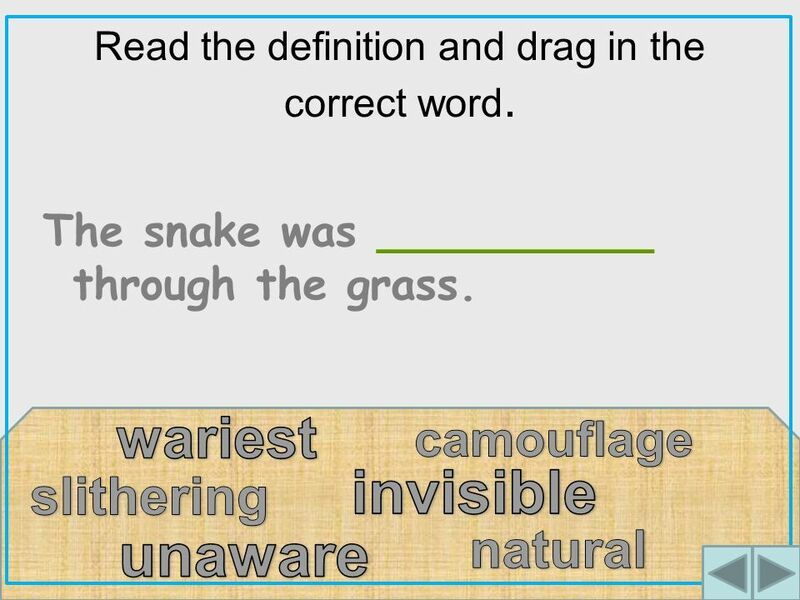 The snake was __________ through the grass. 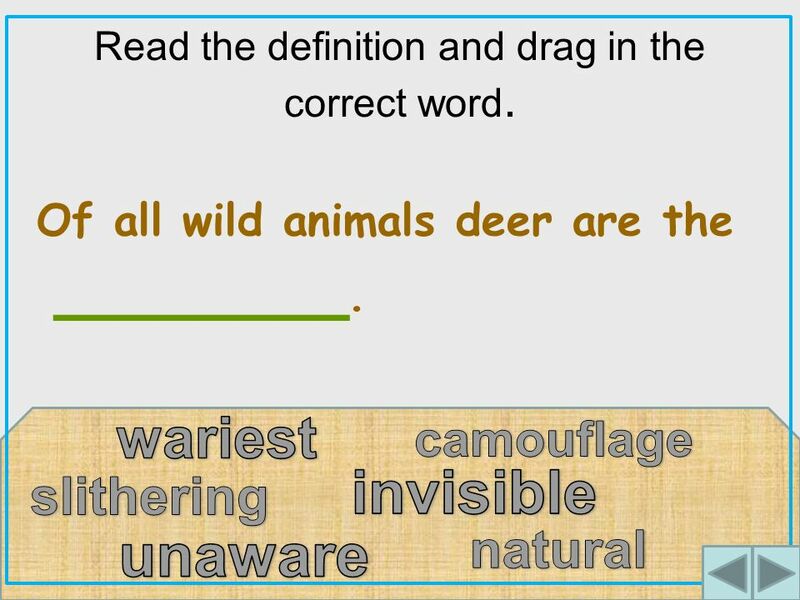 18 Read the definition and drag in the correct word. 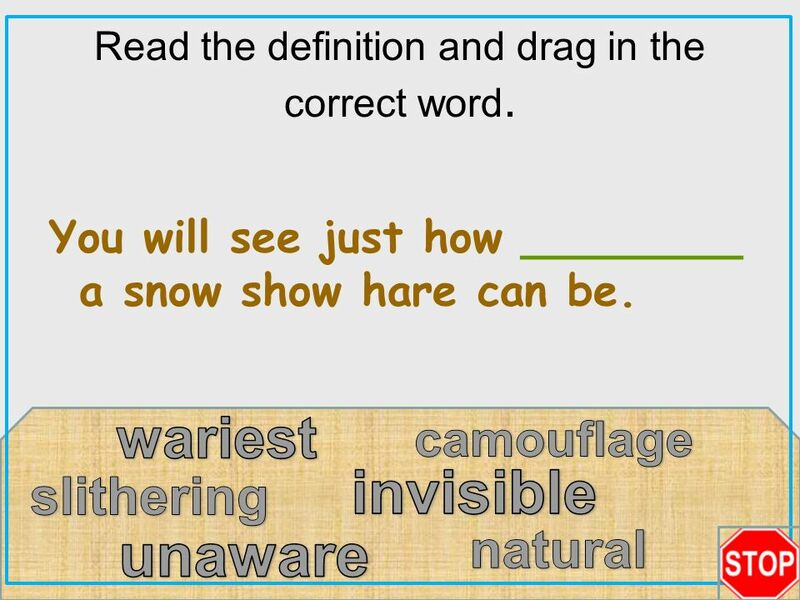 You will see just how ________ a snow show hare can be. 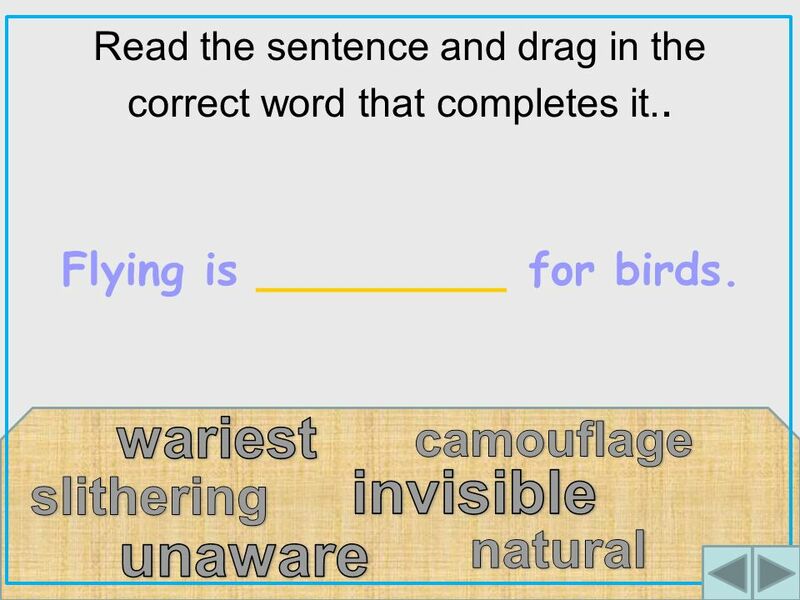 31 Converting a text box into an image in PowerPoint 2007 Create your text box and then cut or copy it. Go to the Home menu and click the dropdown arrow under Paste Click Paste Special. 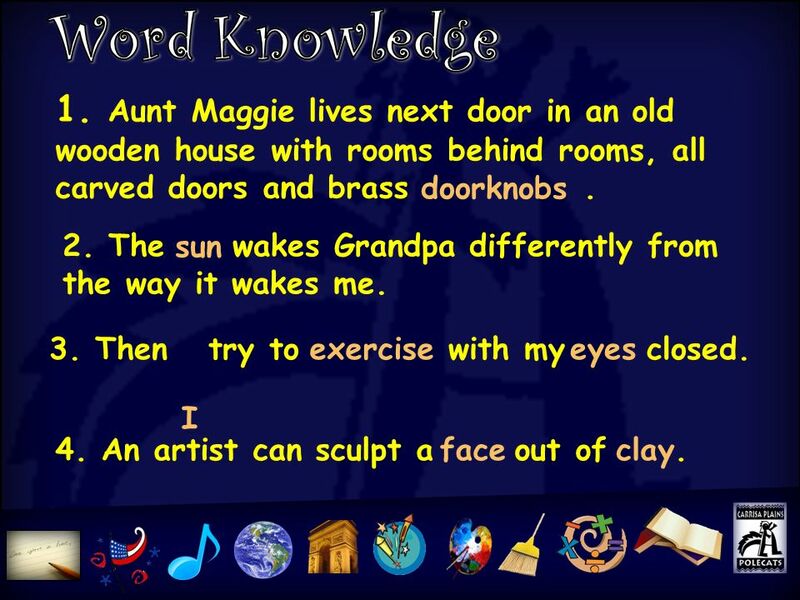 In the dialogue box that comes up, select Picture (Windows Metafile) Click OK and your text box should appear as an image. 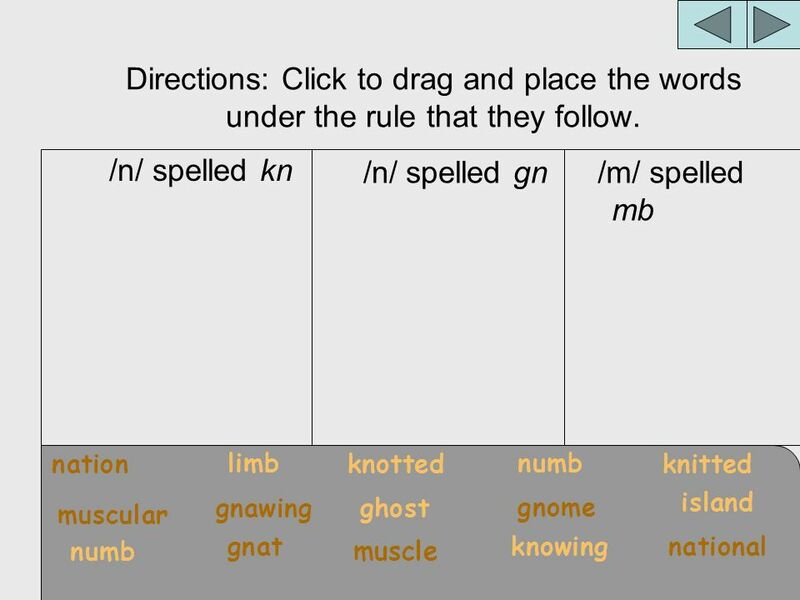 This means that you won't be able to edit the text, but you can apply the macro to it so you can move it around the screen, enlarge it etc. 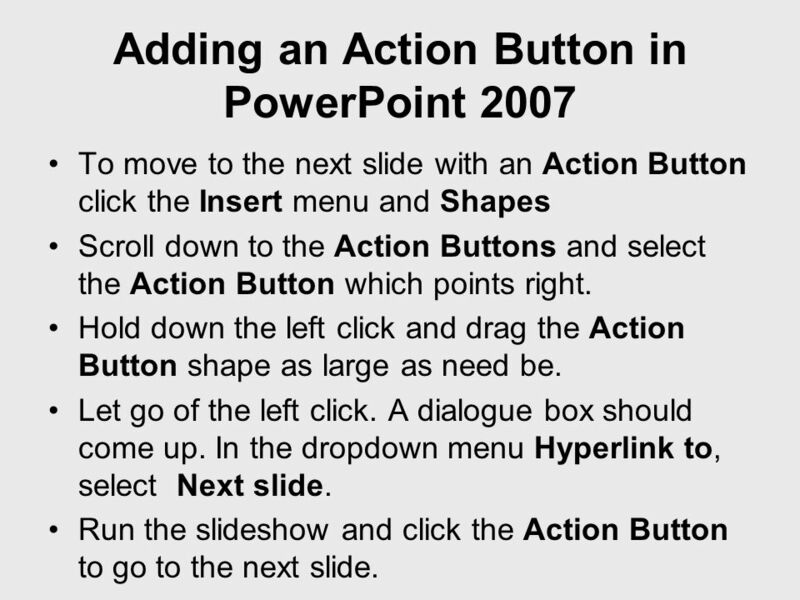 32 Adding an Action Button in PowerPoint 2007 To move to the next slide with an Action Button click the Insert menu and Shapes Scroll down to the Action Buttons and select the Action Button which points right. Hold down the left click and drag the Action Button shape as large as need be. Let go of the left click. A dialogue box should come up. In the dropdown menu Hyperlink to, select Next slide. Run the slideshow and click the Action Button to go to the next slide. 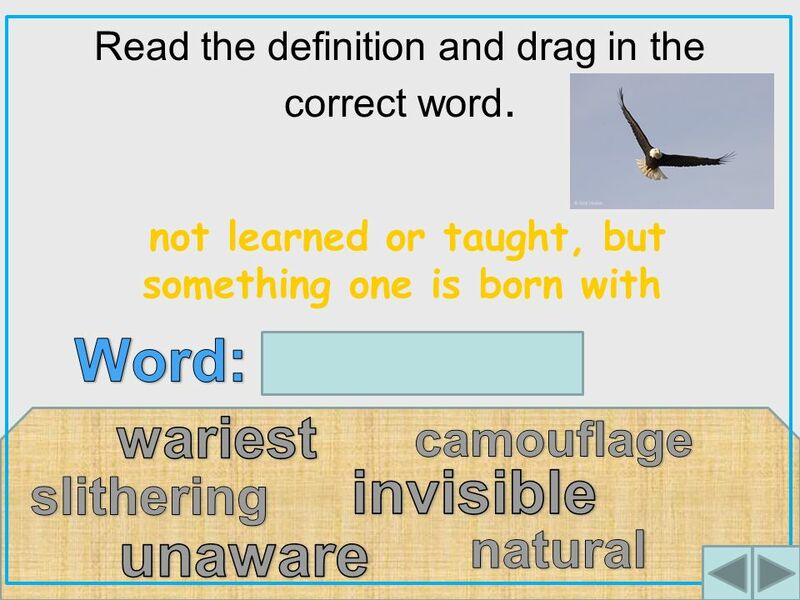 Download ppt "Natural ( not learned or taught, but something one is born with) Flying is natural for birds." encouraged ( gave hope or confidence to) He encouraged his son to paint and draw. Word Knowledge Tic-Tac-Toe Use the word mope in a sentence. Change the /o/ sound to an /ō/ sound for the word mop The other team gets to choose any. 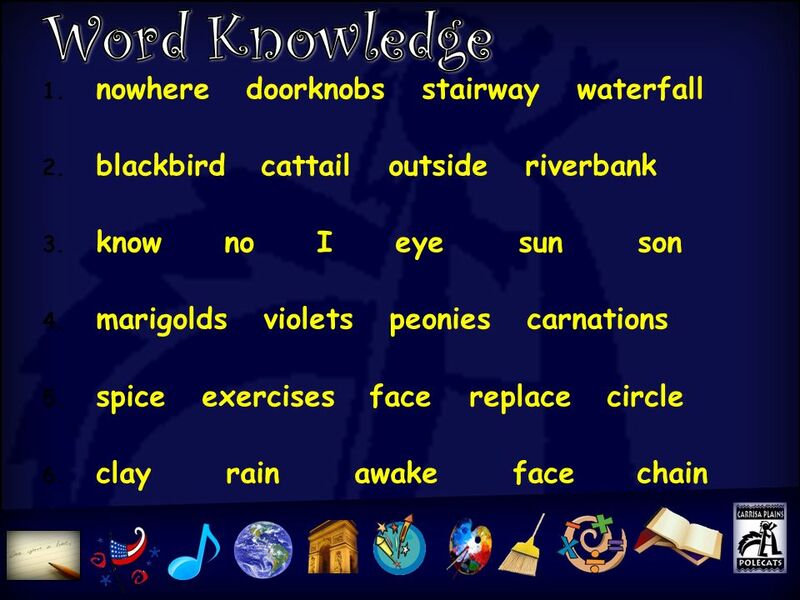 T Suffix -edSuperlatives End in –f with plural ending added T.
Use the word beloved in a sentence. Explain the rule about the /s/ sound spelled with a C. Give an example. 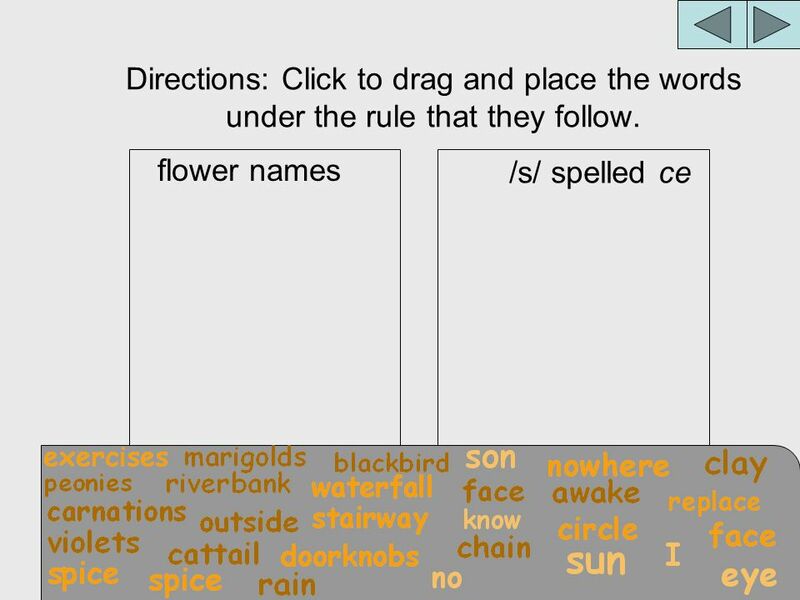 The other team gets to choose any word. 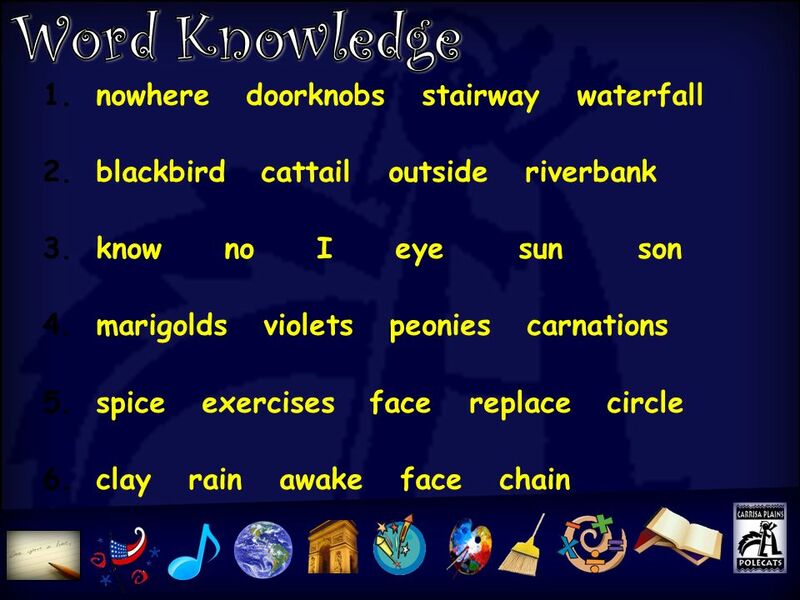 Word Knowledge T T Word Knowledge Activity pluralscommon nouns/l/ sound T.
© Open the PowerPoint application first. 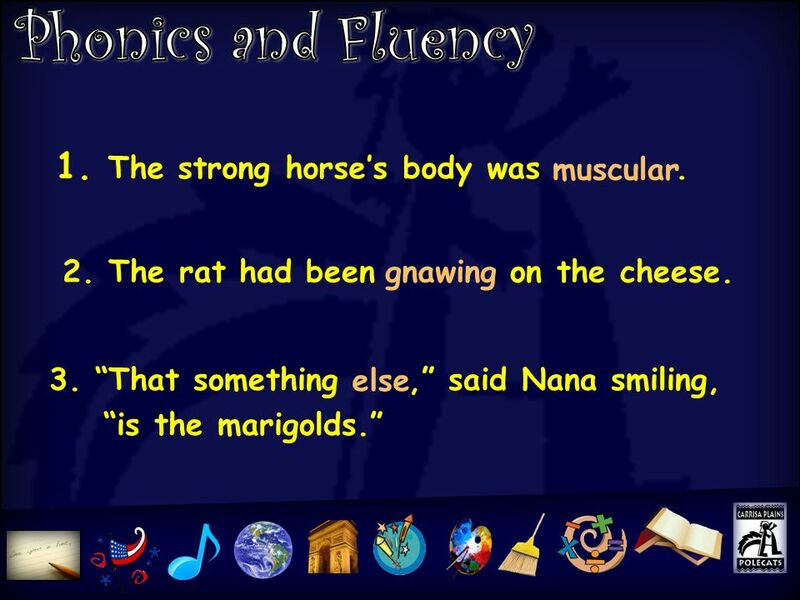 Use the Open file option to locate the file NB: The sequencing activity cannot be carried. Whats New in Office 2010?. 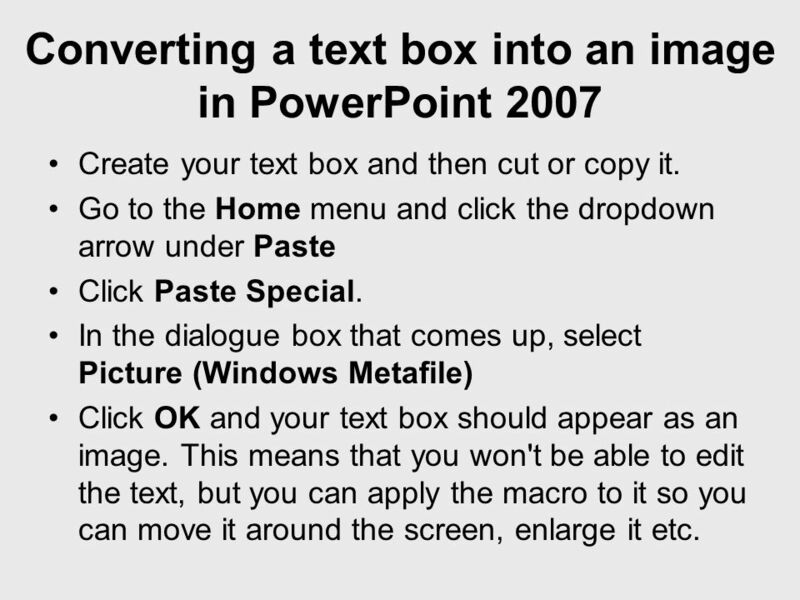 Major Changes in Office 2010 The Office Ribbon, which first made its appearance in Office 2007, now appears in all Office 2010.
or How to make PowerPoint behave like an Interactive Whiteboard. 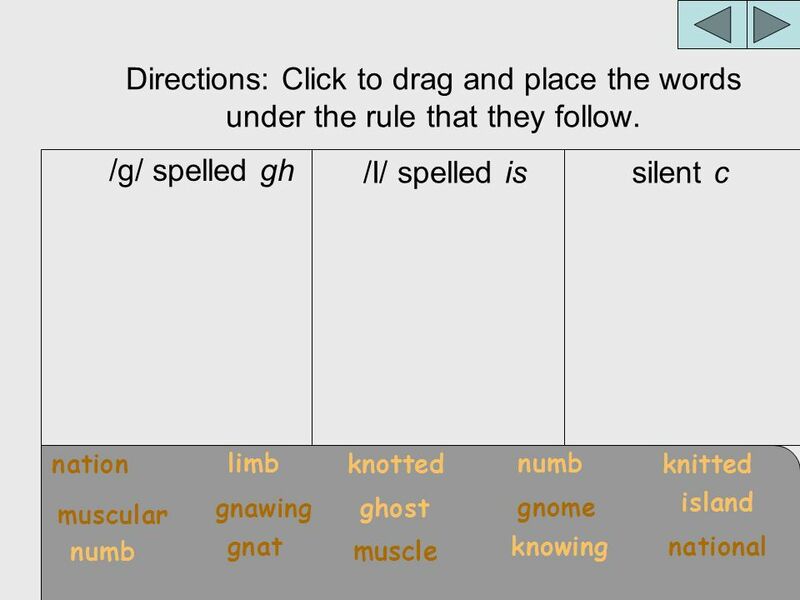 Long I _y igh i_e 1.kite five mine time 2.high might right tight 3. fly cry why 4. like liked liking try tried trying 5.happen happened happening 6.visit. 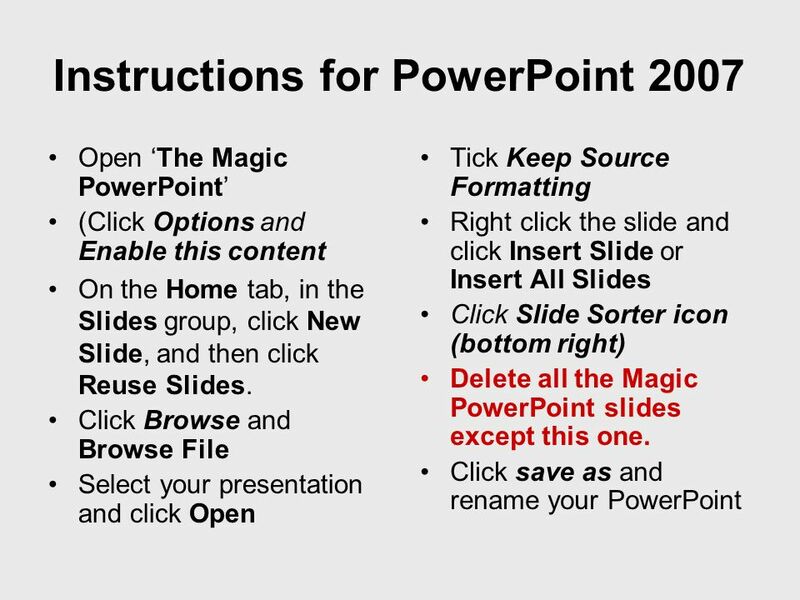 The Magic PowerPoint or How to make PowerPoint behave like an Interactive Whiteboard. Fabric ( cloth) We chose a beautiful, thick, blue fabric for the dress. w w Use the word “urgent” in a sentence. 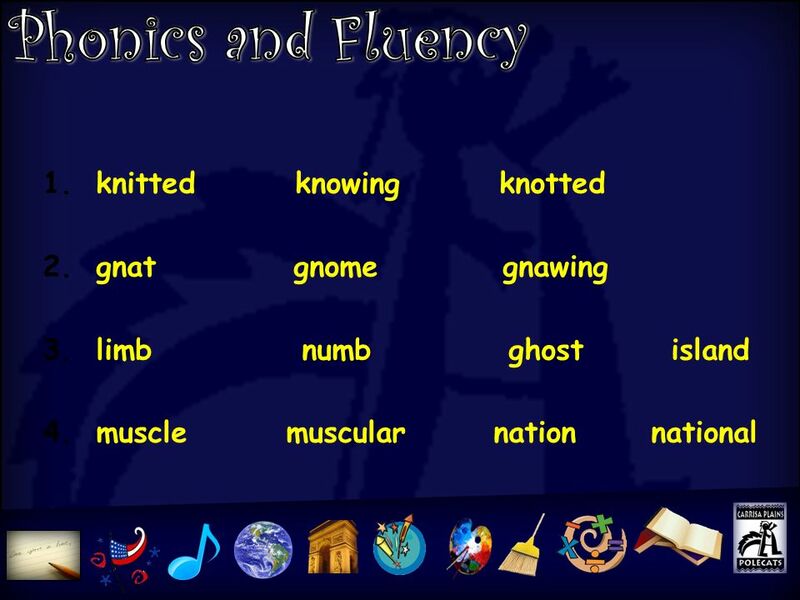 Give an example of the /ow/ sound spelled the same as “proud”. 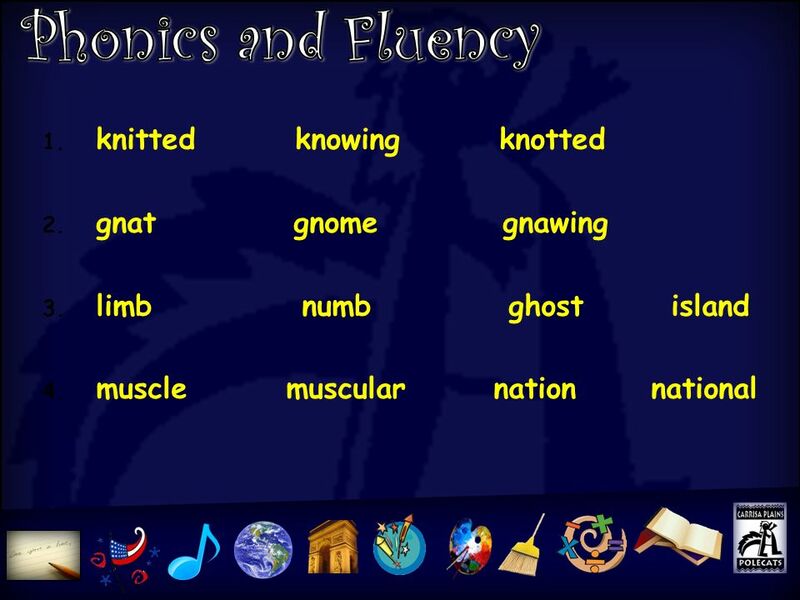 The other team gets to choose any word from.